Kapiti Coast airport situated just 45 minutes from Wellington offers pilots an ideal location in which to train and fly. With typically more settled weather conditions on the Kapiti Coast and an airport that is tailored for General Aviation, we are better able to cater for specialized flight training without the delays of large volume commercial traffic which can end up costing the trainee time and money. 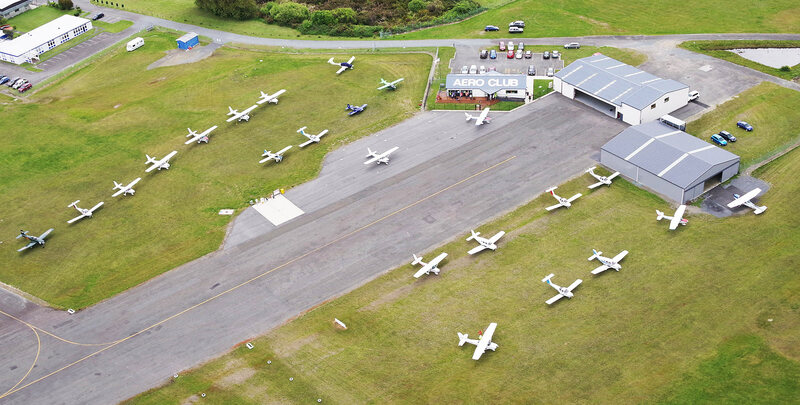 Being located on the western side of the aerodrome Kapiti Aero Club is the main provider of both Private & Commercial pilot training in the area. Our aircraft which are operated from our apron area directly outside the club have easy access to AVGAS refueling & Kapiti Airports main sealed runway. Night flying is also available at Kapiti Coast Airport. Pilot information on the Kapiti Coast Airport website.